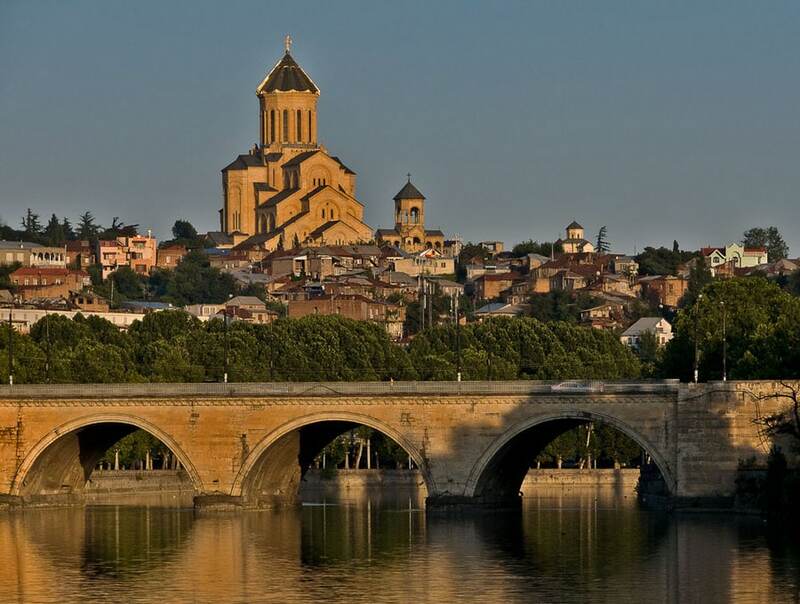 Tbilisi, the capital of Georgia, is a city in full development, prosperity and ferment, which however, still retains the treasures of its past. A local legend says that this land was forested until the fifth century AD, when King Vakhtang I Gorgasali was hunting pheasants in the woods. The birds fell into a hot spring and emerged cooked to perfection. The incident hit the warrior in a way so he decided to build a city here. Strolling along the narrow cobblestone streets of Old Town, Kala in Georgian, you can stop to admire the carved wooden balconies of old houses with embroidered wooden balconies. 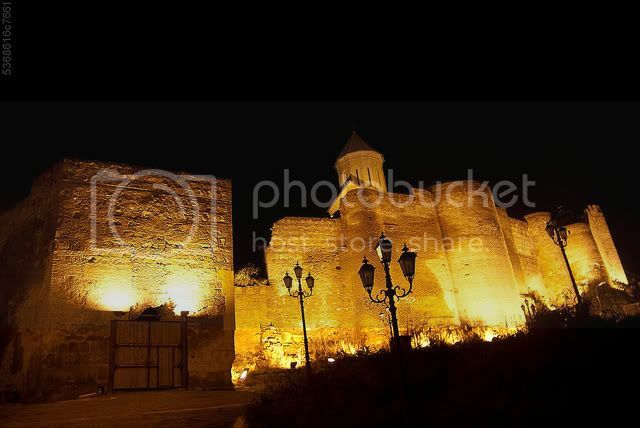 Afterwards you should stop to visit the Church of Metekhi, built in 1200 on the probes of the Rocky River Mtkvari, the Sioni Cathedral (seventh century) and the Anchiskhati Church, the oldest of Tbilisi. 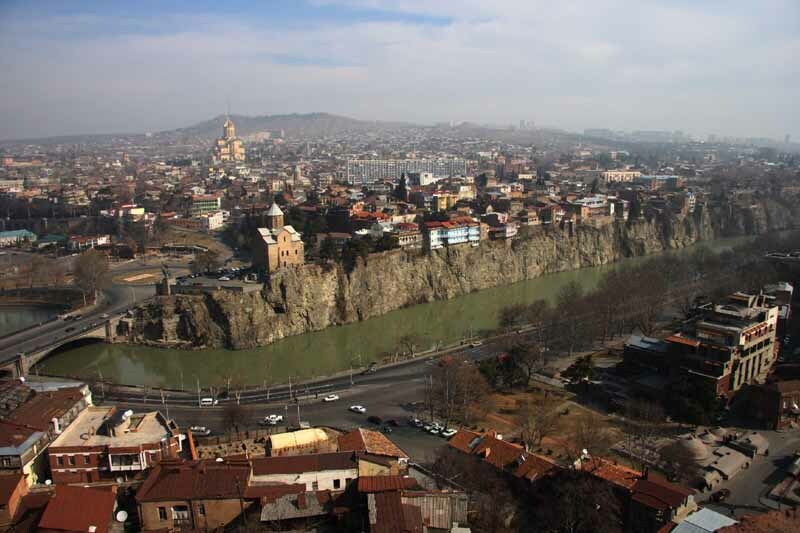 To get an overview of the city, climb the walls of Fortress Narikala (from the Persian Nari-Kala “fortified city”), built in the fifth century but was further enlarged during the Arab occupation of Tbilisi. 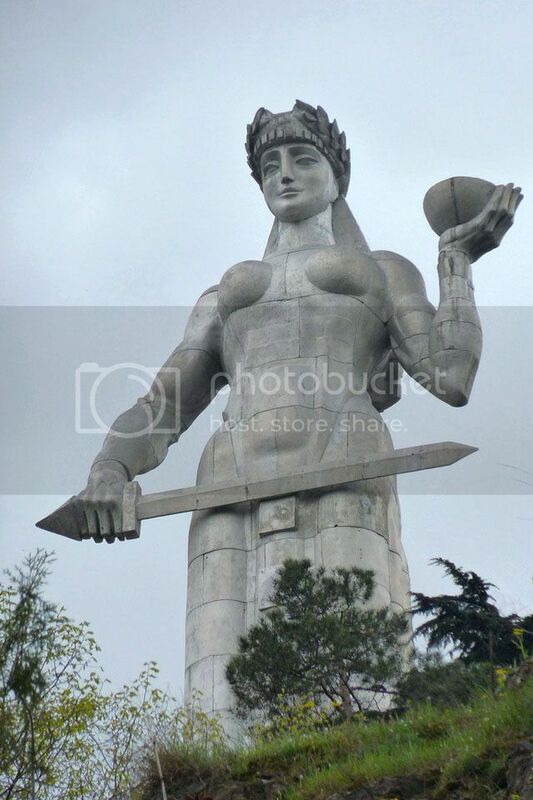 In front of it is a statue of Kartlis Deda, Mother Georgia, bearing in her left hand a cup of wine to welcome friends and the right hand holding a sword to battle enemies. 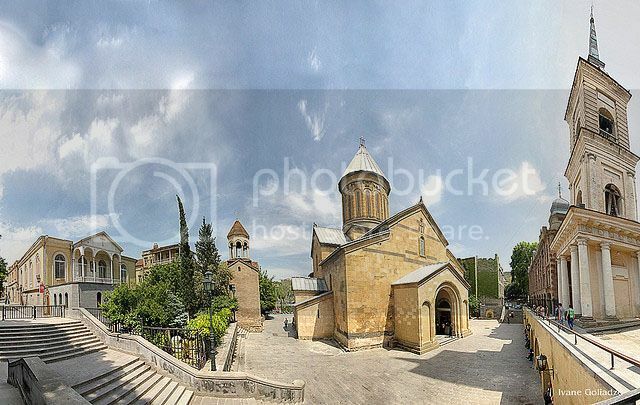 For a break in between the story in order to relax, stop by one of the sulfur that have made Tbilisi famous (the oldest is found in district Abanotubani) or simply rest on a bench in the Botanic Gardens built at the behest of Tsar in 1845. Other highlights include museums like the State Museum of Georgia which in fact holds the skull of the first inhabitant of Europe, dating to 1.7 million years ago along with a fine collection of artifacts and jewels of the gold pre-Christian era. Finally, The State Museum of Georgia collects and preserves icons, crosses and other works of art and fine jewelry of the Middle Ages.